Bryan Magee, “What use is Popper to a practical politician?”; can be found in “Popper’s Open Society after 50 Years” (ed. 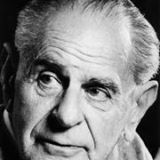 Ian Jarvie and Sandra Pralong), and also in “Karl Popper: Philosophy and Problems” (ed. Anthony O’Hear). This entry was posted in Uncategorized and tagged Karl Popper fashion art politics. Bookmark the permalink.